Original and beautiful notebooks to decorate your desk and if they have stars and hearts are still more beautiful. Kawaii inspirational notebooks, what do you think about this model? Size A5 with 32 white sheets (64 pages). If you like lovely and Kawaii things, and you are a fan of pretty stationery, you can not miss our selection of original notebooks. 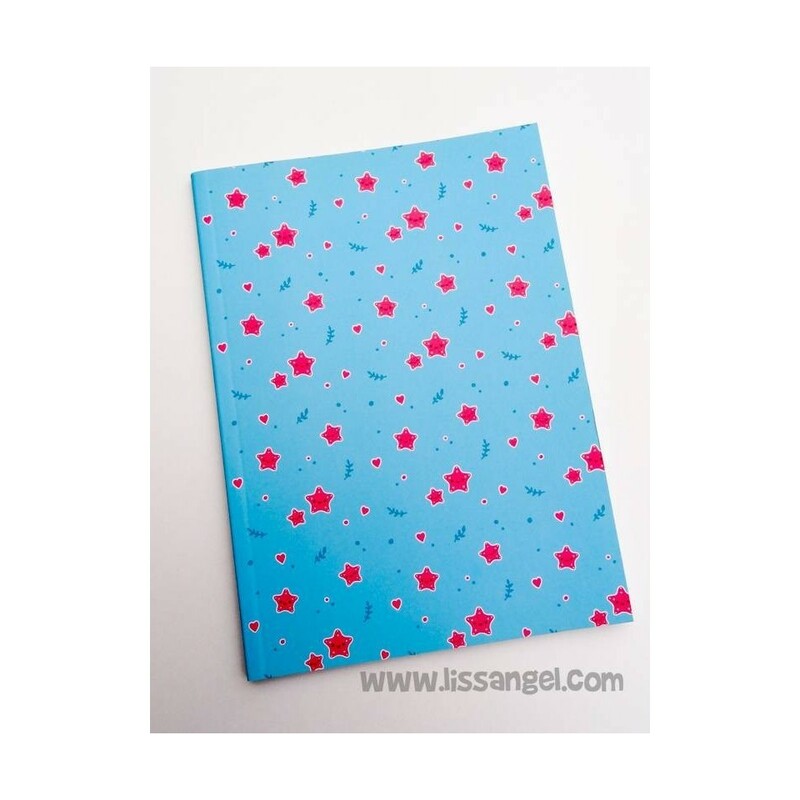 Pretty and practical high quality design notebook, with padded cover made of fabric with a striking print of colorful butterflies. Who does not find chickens funny? In these original notebooks of cool stationery, we have a whole family of chickens, chicks and eggs. Size A5 with 32 white sheets (64 pages). For cactus lovers, we bring you these beautiful notebooks with very realistic cactus drawings at a very affordable price. Perfect to take anywhere. Choose between four different models. Enjoy our original notebooks of pretty stationery! Love is in the air, that's what the owls on the cover of this pretty notebook or diary think.